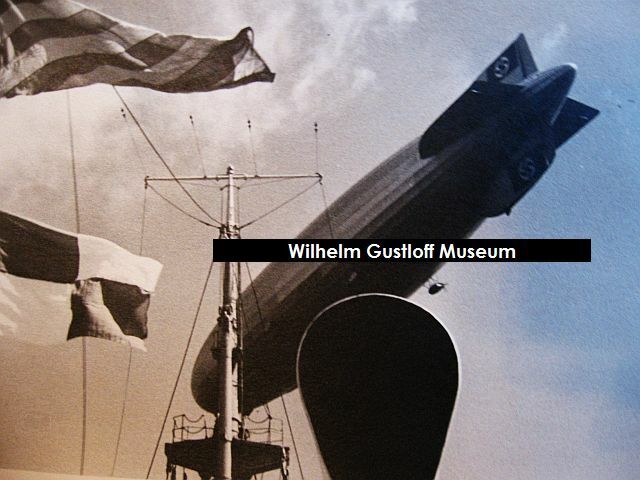 While not related to the Wilhelm Gustloff, Germany's LZ 129 Hindenburg Zeppelin was to the skies what the Gustloff was to the sea. 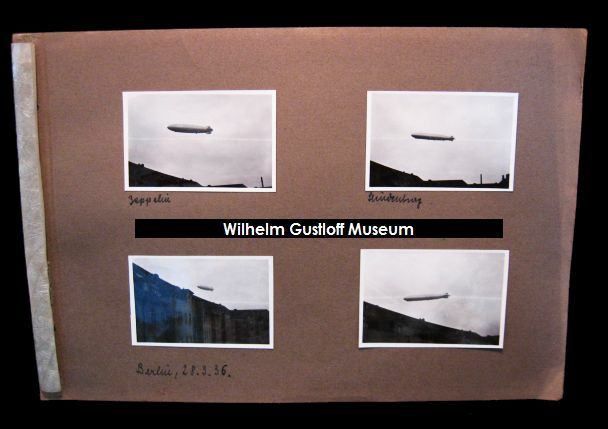 The four original photos below are listed as the Hindenburg over Berlin, Germany. March 28th, 1936. Though due to the details, I believe it may actually be the Graf Zeppelin instead. 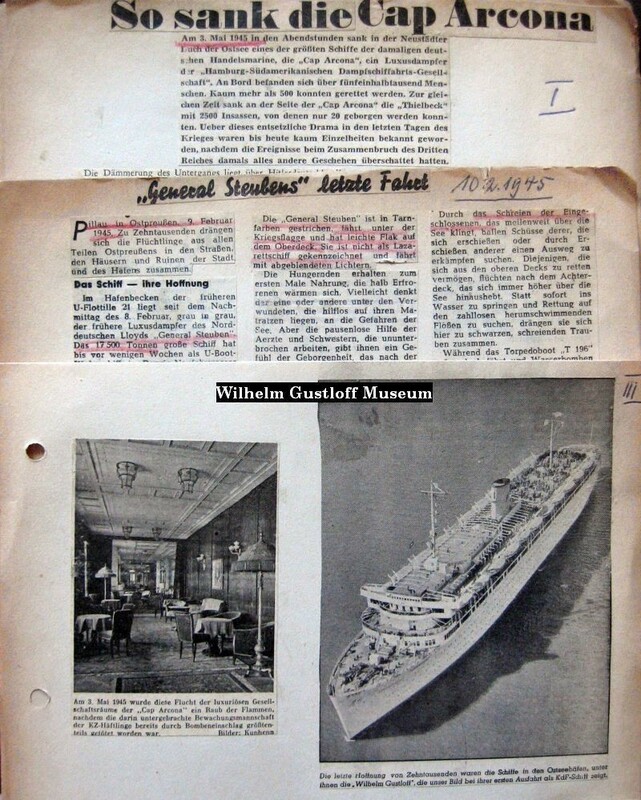 Der Deutsche Photo Album - Also features the Bremen, Milwaukee, and Oceana. 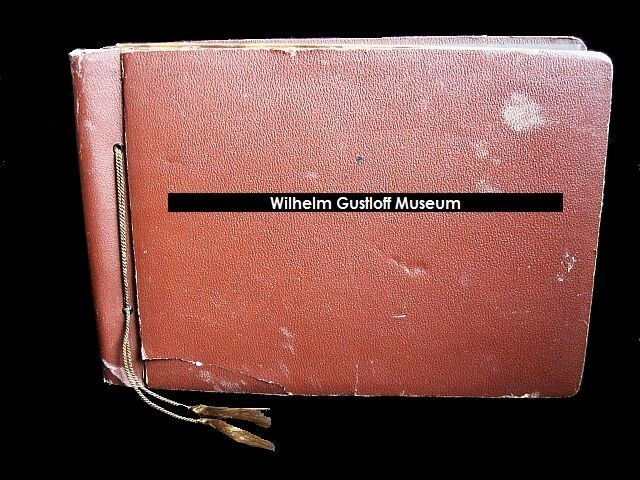 ​​The album also has 56 newspaper clippings / photos cut out during the war. Most of these are AP photos of various ships sinking, burning, picking up survivors, & bomb blasts. Several of the newspaper articles can be viewed below under the last PDF file. 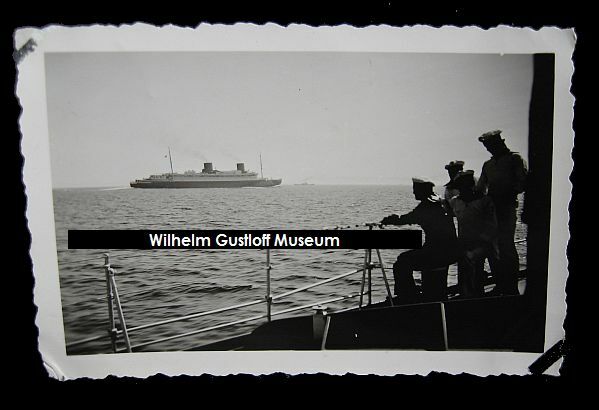 Unknown KdF Liner passing the Hindenburg at sea. - Possibly the Oceana or Sierra Cordoba. Beautiful images of the great airship over the ocean. 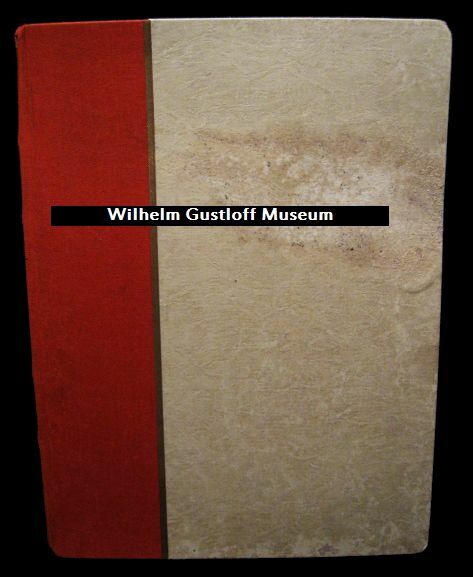 - Includes a destroyer, the statues of Johann Wolfgang von Goethe and Friedrich Schiller infront of the German National Theater in Weimar, and the "Schloss Belvedere" (Belvedere Palace), also located in the Weimar area. Photo #1: Likely the British battleship HMS Nelson. Photo #13: The German Panzerschiff Deutschland. While not related to the Wilhelm Gustloff - this film is related to another great ship, the Cap Arcona. Titanic was a 1943 Nazi propaganda film made during World War II in Berlin by Tobis Productions for UFA, which was later banned from Nazi Germany by Propaganda Minister Joseph Goebbels. 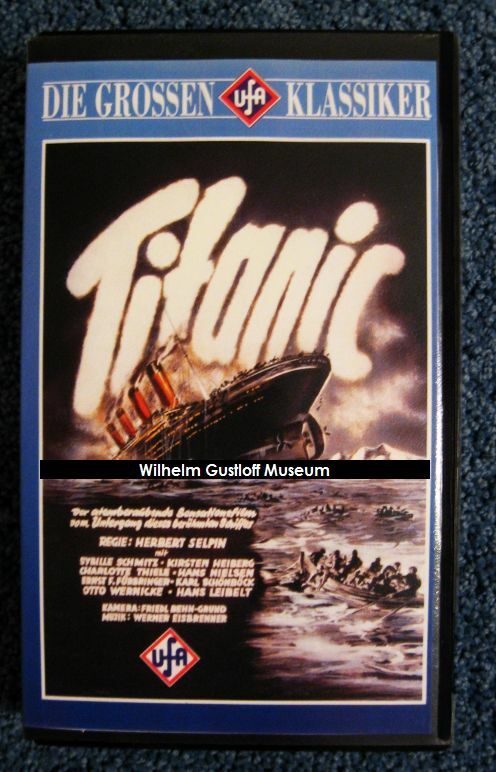 The film used the sinking of the RMS Titanic as a setting for an attempt to discredit British and American capitalist dealings and glorify the bravery and selflessness of German men. The film is known for its extremely dark production history and, ironically, became the symbol of the corruption and "sinking" of the Third Reich itself. The film was shot on board the SS Cap Arcona, a passenger cruise ship which itself was sunk in the last weeks of World War II with a loss of life far heavier than that on the actual Titanic. The scenes with the lifeboats were filmed on the Baltic Sea and some of the interior scenes were shot in Tobis Studios. 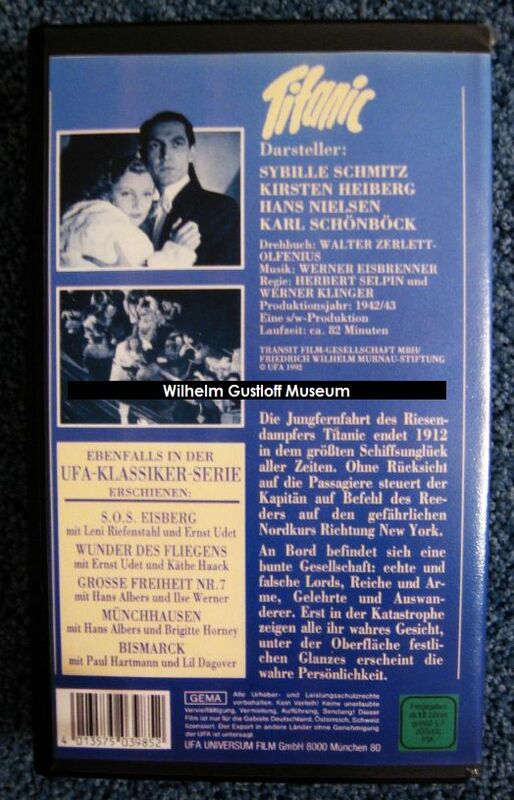 In 1992, a censored, low quality VHS copy, (shown here) was released in Germany. This version deleted the strongest propaganda scenes, which immensely watered down its controversial content. Finally, in 2005, Titanic was completely restored and, for the first time, the uncensored version was released in a special edition DVD by Kino Video. Source: Wikipedia: Titanic (1943 Film). 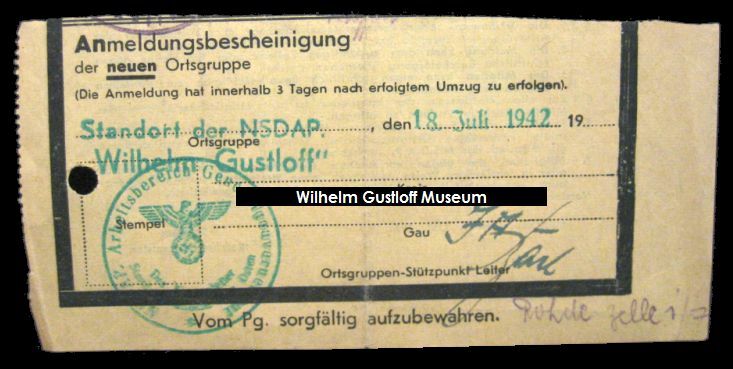 NSDAP group Wilhelm Gustloff receipt & paperwork. 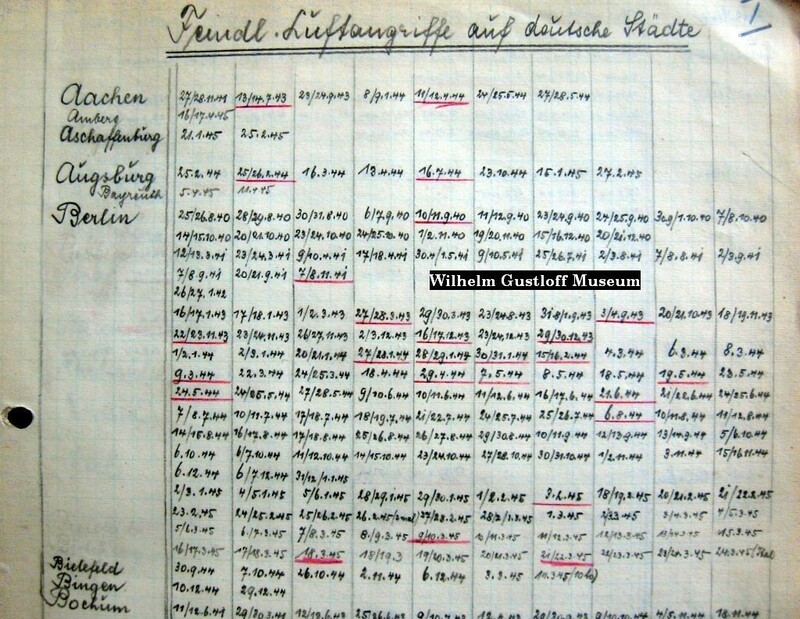 Ortsgruppe: Standort der NSDAP Wilhelm Gustloff. 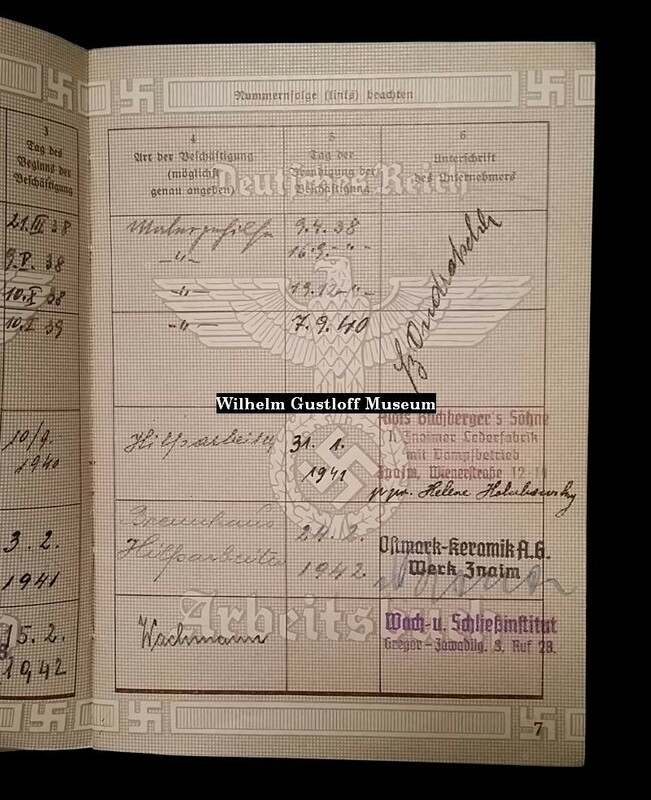 Local Group: location of the Nazi Wilhelm Gustloff. Luxury Liner 'Bremen' before and after the war. 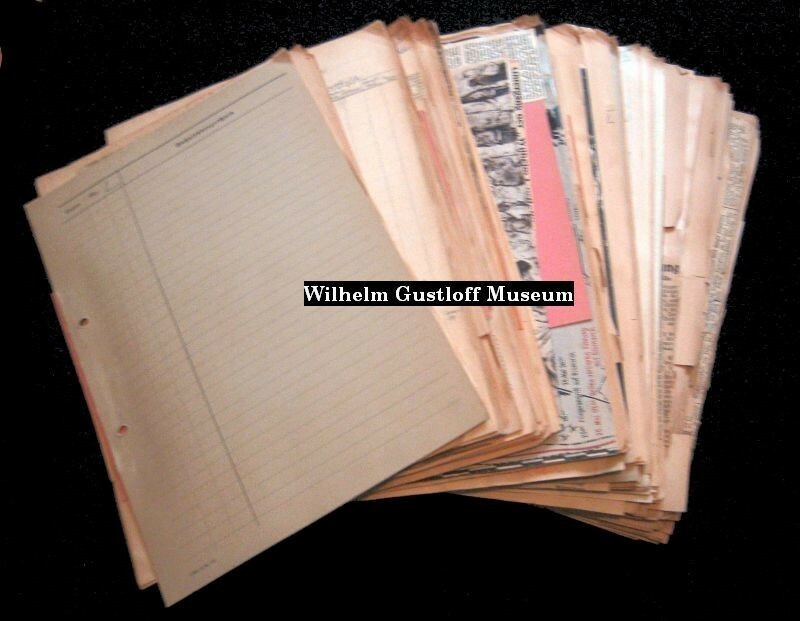 Collection of several hundred original World War II newspaper articles. 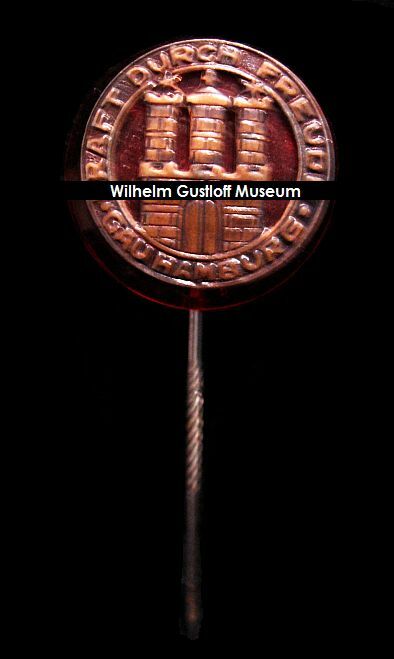 I came across this collection online and saw that there were some articles on the KdF fleet, as well as the Wilhelm Gustloff. After I paid $10.00 for them all, they ended up sitting in a closet as I continued to work on other things in the museum. 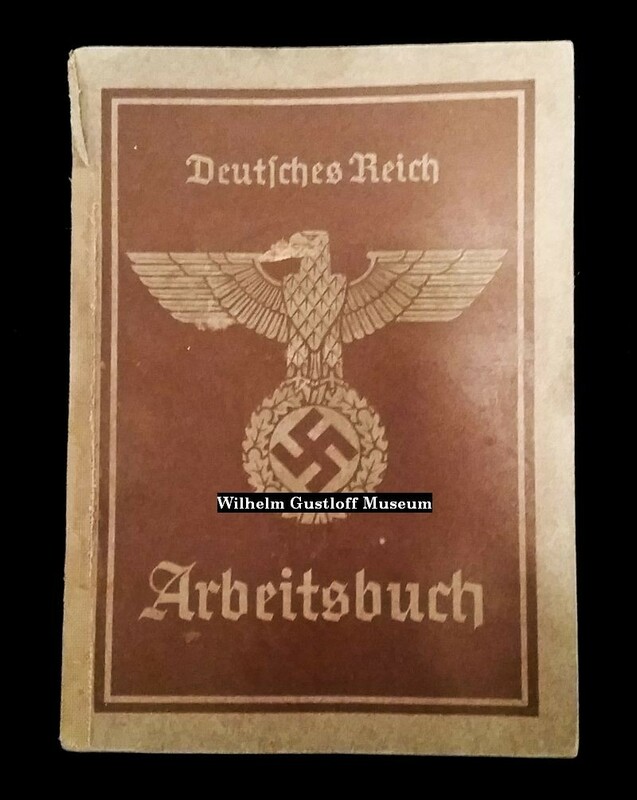 For the 2017 update, I began looking through these and was surprised to see just how much information was saved by someone living in German at that time. There is entirely too much for me to translate, but I wanted to share these with others who could use these for research, reading, and fact checking. I uploaded over 300 scans of roughly 1,000 newspaper articles into 10 PDFs for you to view. I translated the sections and headlines and divided them up as so. I assume these are all in order, as I scanned them as they were when I purchased them. 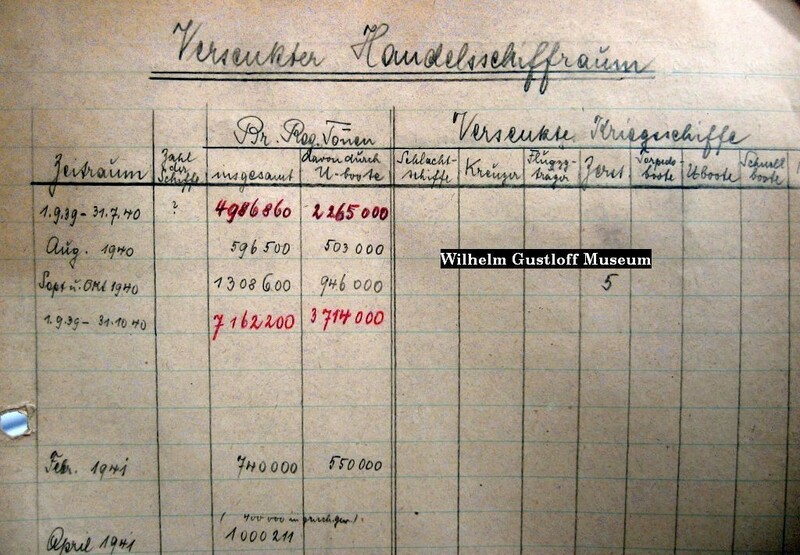 Section #1: "Warship Losses Attributed to the British"
Diese Kriegsschiffsverluste geben die Briten zu. These Warship Losses are Attributable to the British. The Commercial Fleet without Sailors. 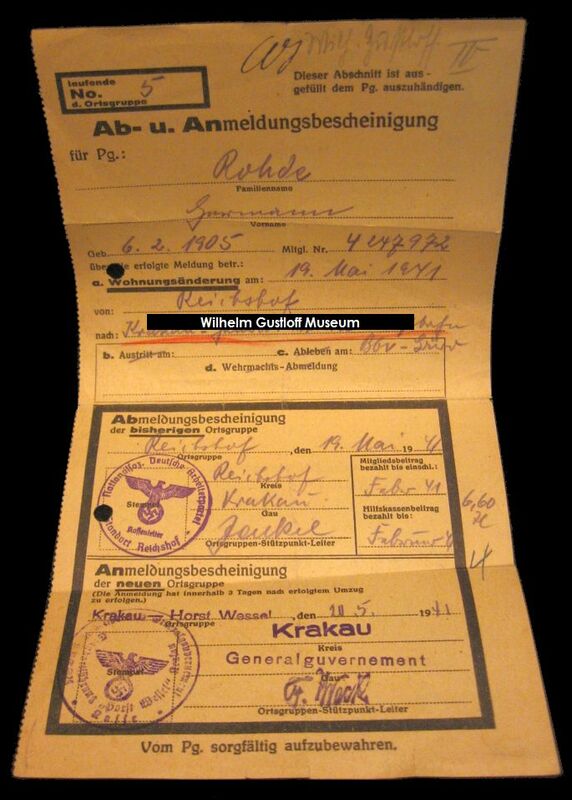 Section #2: "The Slaughter of Merchant Shipping"
​Versierungs Ziffern (Handles Krieg) 1939 - 1944. Zeitraum Gr. Reg Tonnen Verseukte Kriegsschiffe. 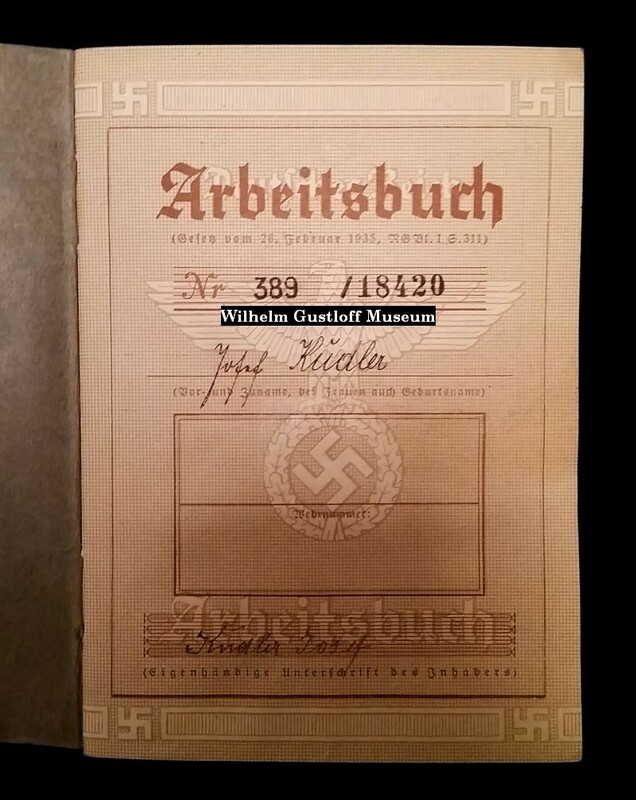 Unter dem Würgegriff des "Admirals Zeit"
Versions of War 1939 - 1944. Period - Gr. Reg Tons - War Warships. Under the Stranglehold of the "Admiral Zeit"
Section #3: "The War on the Sea Against England"
​Krieg zur See gegen England. Wie Günter Prien die Sperre von Scapa-Flow durchbrechen konnte. Mit der "Cossack" 155 Engländer ertrunken. Ein Schwerer Schlag für Englands Flotte. Die "Barham" vor Gollum gesunken . Beim dritten Torpedo kopfüber in die Tiefe. Dispositionen der britischen Flotte zerstört. War on the Sea Against England. How Günter Prien Could Break the Barrier of Scapa-Flow. With the "Cossack" 155 English Drowned. Two British War Ships Scuttled. A Heavy Blow to England's Fleet. The "Barham" Before Gollum Sunk. At the Third Torpedo in the Depth. Loss of the "Coventry" was Added. Where Should the Convoy Go? Section #4: "The U-Boat War"
Erinnern Sie sich, Winston Churchill? Unsere U-Boot binden eine Million Mann. Dönitz verliert die Atlantik-Schlacht Sommer 1943. Das Grab der deutschen U-Boote. Kühner Torpedo-Reiter in der Seine-Bucht. Sprengboote - eine neue Seekriegswaffe. Geheimnis der Spreng-Boote Gelüftet "Linsen-Flottille" im Einsatz. The Mediterranean Sea Weighs Heavier. Do you Remember, Winston Churchill? Our Submarine tie 1 Million Men. Dönitz loses the Atlantic Battle - Summer 1943. 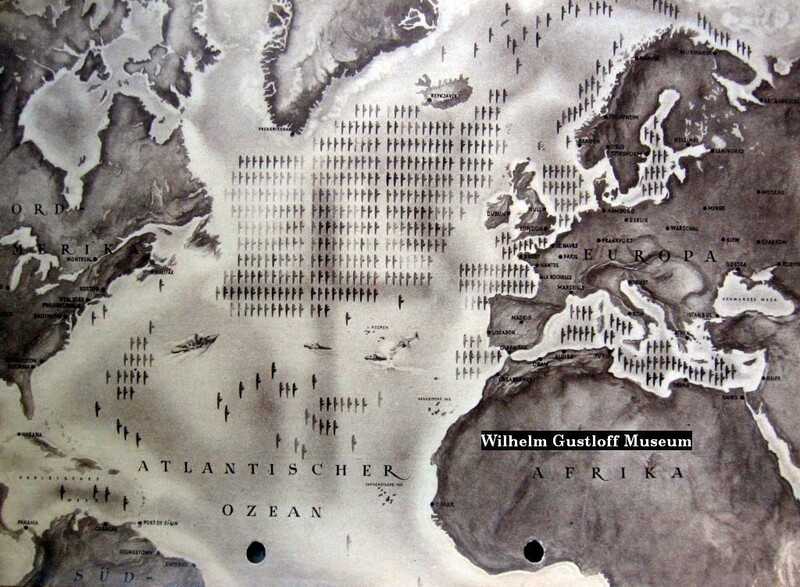 The Grave of German Submarines. Bold Torpedo Rider in the Seine Bay. Blasting Boats - A New Naval Warfare Weapon. Secret of Blasting Boats Aired "Lens Flotilla" in Action. Section #5: "Our Own Losses at Sea - The Loss of German Warships"
Eigene Verlust zur See - Graf Spee, Columbus, Bismarck, Scharnhorst, Tirpitz, etc. Deutscher Protest - Gegen Internierung der Spee-Vesatzung. 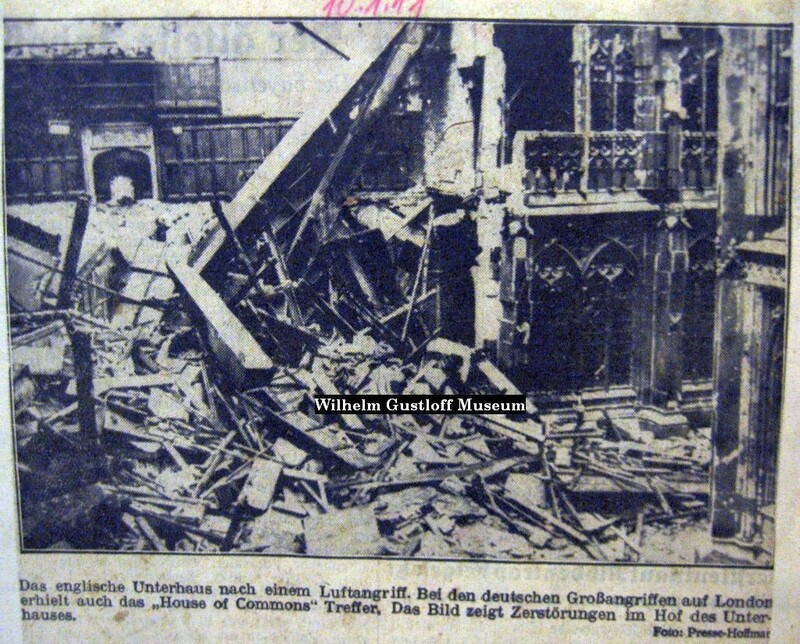 Die Welt bewundert "Graf Spee"
Ruhmreiches Ende des Schlachtschiffes "Scharnhorst"
Kampf und UNtergang der "Lützow"
Der letzte Torpedoschuss im Weltkrieg - UB 50 versenkt am 9. 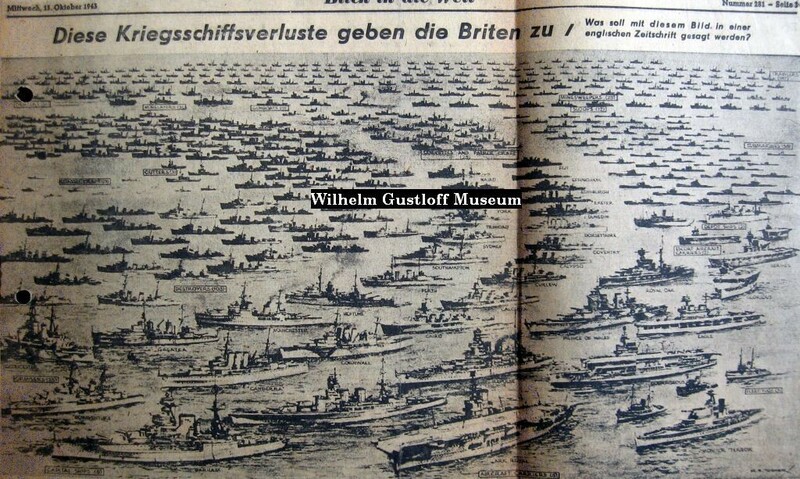 November das Linienschiff "Britannia"
Own losses to sea - Graf Spee, Columbus, Bismarck, Scharnhorst, Tirpitz, etc. 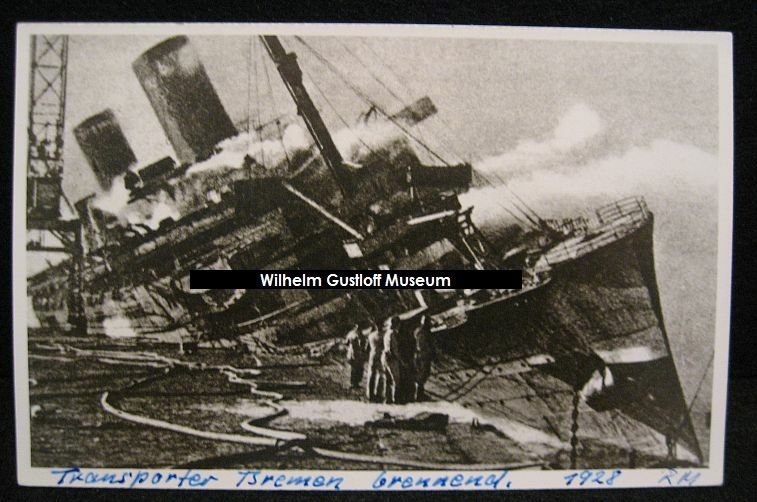 Loss of the "Graf Spee"
The world admires "Graf Spee"
The Man who Betrayed the "Columbus"
Glorious End of the Battleship "Scharnhorst"
SOS - SOS - Wilhelm Gustloff - Stop - Are Heavily Hit - Stop - Ship Sinks with 6000 People - SOS - SOS. (Probably should be with the next section). 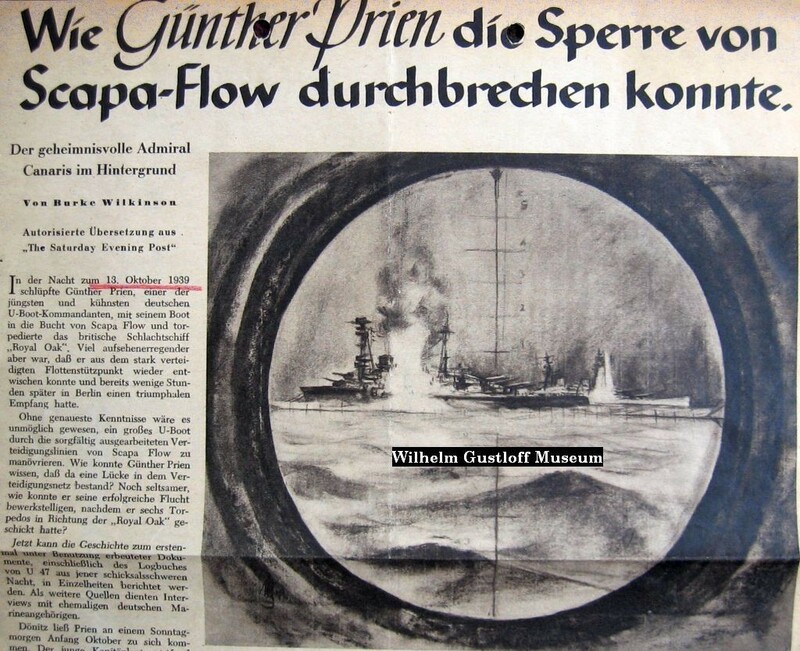 Battle and Decline of "Lützow"
The Last Torpedo Shot in the World War - UB 50 Sunk the Ship "Britannia." 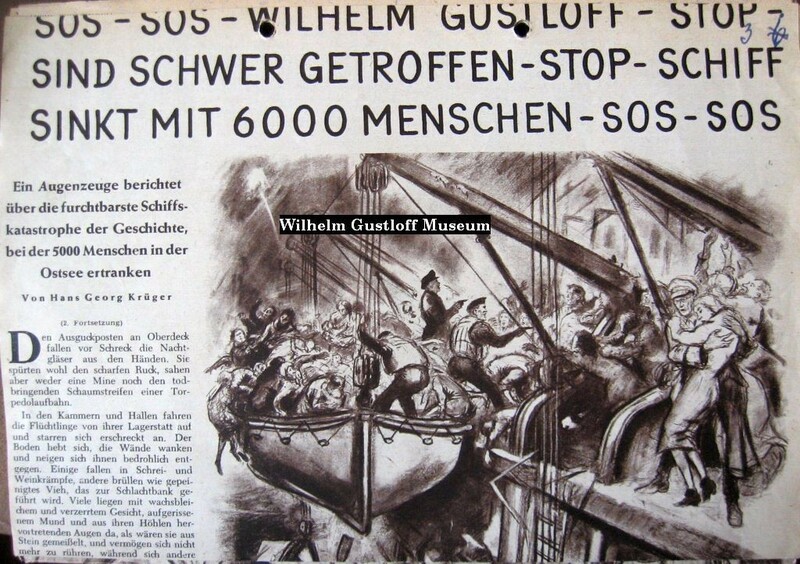 Section #6: "Our Own Losses on Passenger Ships"
Fire for Lloyd Steamer "Bremen"
The Catastrophe of the Refugee Ships 1945. Section #7: "Air War & Aircraft"
Section #8: "Aerial Attacks on German Cities"
Der Fall der "Arc Royal"
"Es ist klug, sich auf alles gefasst zu machen"
The Case of the "Arc Royal"
"It is Wise to be Prepared for Everything"
Section #9: "Air War Against England"
Set of 13 photographs featuring a seaman's time aboard the 1937 German built training ship Albert Leo Schlageter (NRP Sagres). His photo album begins with the last photo under the name of Kptl. z.S. Jurgens and includes a Kriegsmarine Anti-Aircraft Artillery Senior Specialist Trade Badge in fabric. Other photos show him behind a flak gun. These photos show a 1944 voyage and are noteworthy because one image shows the damage the Schlageter took when she struck a mine on November 14th, 1944. 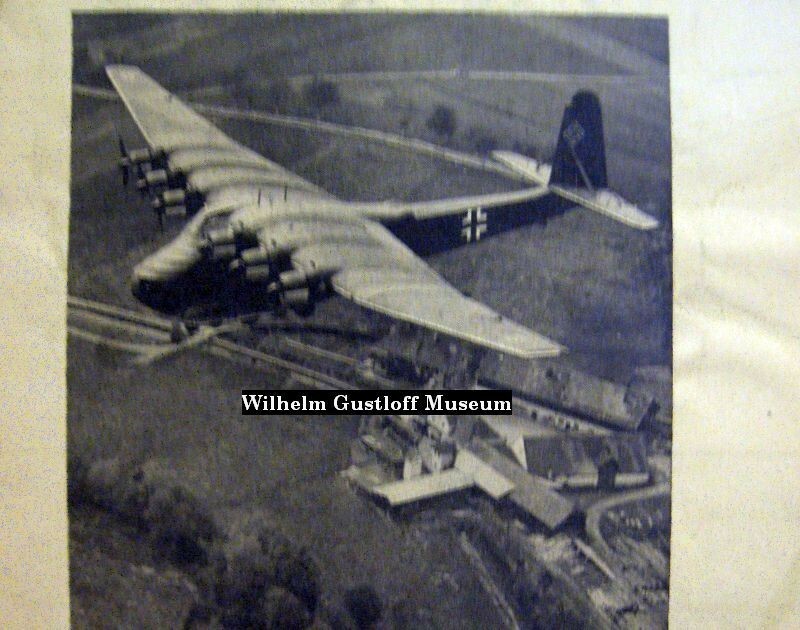 The Horst Wessel (USCG Eagle) had to take her under tow to Swinemunde. I tried to find additional images of her mine strike online, but I was unable to.